They're not much like the embryonic novels that appear in the New Yorker, either. 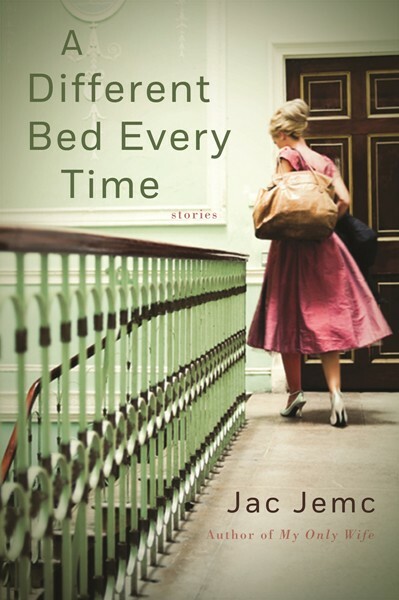 In fact, there's very little conventional narrative at all in Jemc's new collection A Different Bed Every Time. Her fiction is highly experimental. It relies less on plot to tell a story than on mood, metaphor, and language. The 42 stories here are short: most don't last more than two or three pages. They feel as surreal as dreams—though when you're immersed in them, they make perfect sense, as dreams tend to do. It's telling other people about them afterward and trying to explain what they mean that's the hard part. The problem with trying to describe experimental work like this is that it always comes off as difficult and unappealing and, worst of all, inaccessible. I want to make it very clear that Jemc's writing is not like that at all. It's very much rooted in reality, even if she has a way of very quickly turning the real surreal. In Jemc's world, banal social interactions, particularly between men and women, are usually menacing, and cliches become literal, like in "Half," in which a couple splitting up decides to divide all their possessions right down the middle—with scissors and a chain saw. What sets Jemc apart from other clever experimental writers, though, is that there's meaning and purpose behind her tricks. In "Filth and Rot," a group of teenage girls transforms into a band of thieves, starting with their teachers' lipsticks, moving on to their neighbors' televisions and their mothers' photos—memories of how the girls used to be. "Our mothers told us we smelled naked and ripe, and when they got close enough to hold an ear to our hearts they recreated the burbling with wet sounds, their clammy tongues flicking around their mouths. 'Decay,' we whispered outside their other ears. . . . We'd turned rotten is all." "I drank too much coffee," says the promiscuous narrator of "A Violence." "The city felt like a pinball table, like I might slip between the sewer grates and become lost to the game." Humanities Fest headliners talk journeys. 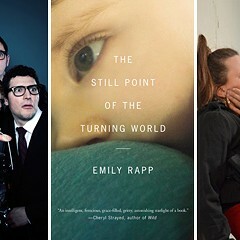 Plus: books by Lena Dunham, Dmitry Samarov, Brian Costello, and more of the best upcoming releases.